If you are in the planning stages of designing your screen porch or are putting on the finishing touches to your decorating, don’t underestimate the importance of lighting. As with an indoor living space, your outdoor screen porch requires lighting that enhances the atmosphere—for those long evenings outside or for a cloudy day when you want to relax with a blanket and read a book. 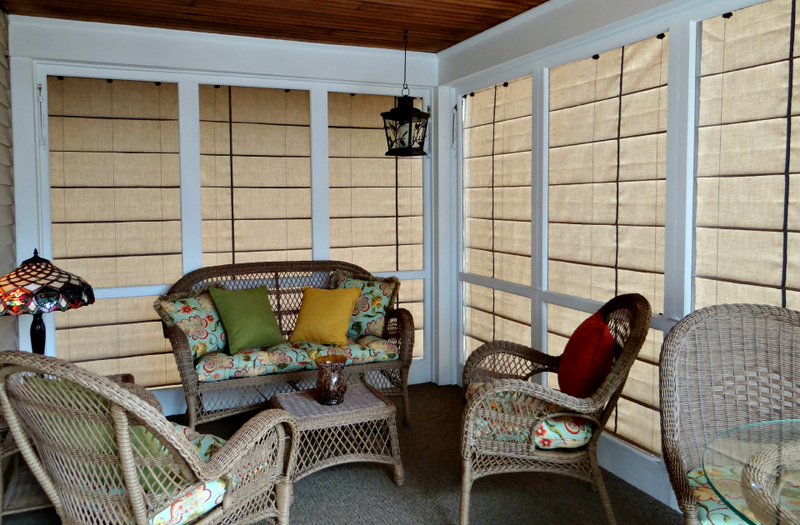 When you utilize Weather Queen Shades, you can use your screen porch in many weather conditions while protecting it at the same time. Why not incorporate lighting that meets a variety of needs, too? 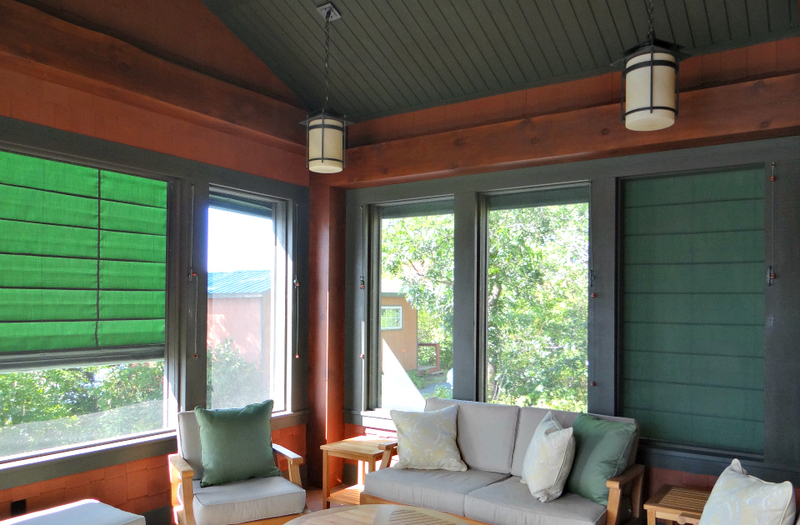 Read below for five ideas to consider when choosing lighting for your screen porch. Idea #1 – Bring your ‘inside style’ to the outdoors. If you would like to enhance the current style of your home and not develop a new aesthetic for this outdoor living space, consider purchasing all-weather lighting that matches your interior space. A quick online search will yield many results, including colorful indoor/outdoor lamps, cordless outdoor lights, and decorative fixtures—some that even encompass rechargeable LED lights. Bring your ‘inside style’ to the outdoors with an indoor/outdoor Tiffany lamp. Idea #2 – Utilize ceiling fans that provide both lighting and air movement. By incorporating fans in your outdoor space, you are solving two problems at the same time. A myriad of fans can be found at your local home improvement stores in all colors, sizes, and shapes. 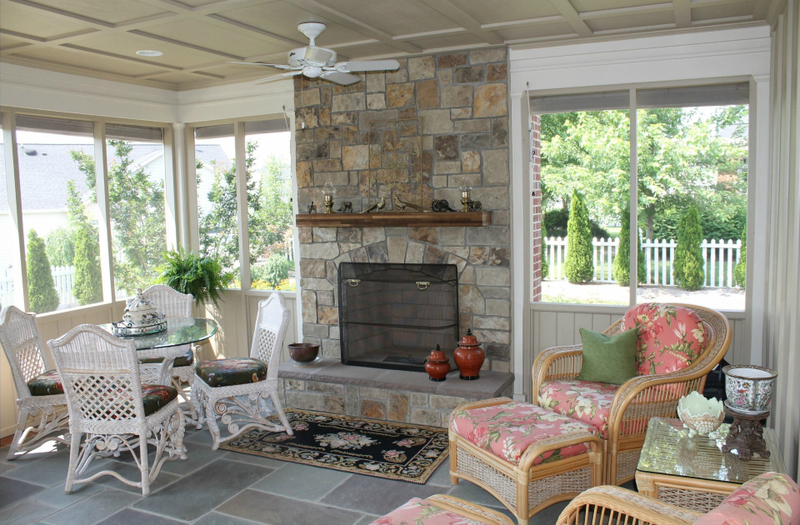 Outdoor ceiling fans provide both lighting and air movement on a screen porch. Idea #3 – Consider an outdoor chandelier as a decorative piece. Although you want the chandelier to emit light, this can also serve as a decorative piece that matches your décor and style. For instance, a wrought-iron chandelier may add an air of elegance to your porch while a chandelier that features crystals may align with a formal outdoor dining area. Whether it’s casual or formal, be sure to find chandelier shades that are mildew-resistant and can be utilized within an outdoor space. Idea #4 – String lights are a fun option. Even if you have permanent lighting in your screen porch, you may want to consider hanging string lights for parties, events, or casual get-togethers. These lights can be purchased in many shapes and sizes. Not only do they add lighting, they add ambiance to the space. Because string lights are easily interchangeable, you can have various sets for different occasions. String lights are a fun option for your screen porch. Idea #5 – Wall-mounted task lights and safety. If you are planning to cook within your indoor porch, play games, or partake in other activities, ensuring appropriate lighting is important. In addition, wall-mounted task lights can help illuminate the entryway while providing lighting for safety. When considering lighting options, remember that the lighting should enhance the potential activities taking place on the screen porch while adding ambiance and mood to the setting. Consider adding additional external outlets for future lighting changes and modifications. Finally, be sure to purchase lighting that is rated for outdoor use and can withstand wind, dust, and moisture. 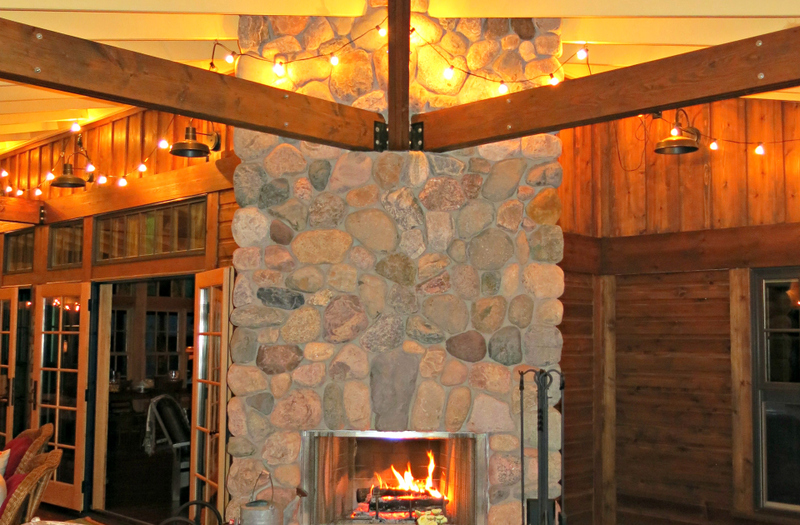 Outdoor pendent lights are perfect for a screen porch with a vaulted ceiling. A good source of lighting rated for exterior use may be your local Menards store if you are concerned about price. Restoration Hardware carries high end, outdoor lighting with a variety of styles, finishes and sizes. Local lighting and electric shops such as Northern Lighting Center in Appleton, WI, carry a wide variety of outdoor lights and can assure that your wiring and lighting is safe. As always, let us know if you have any questions about designing your screen porch or which lighting and furniture have worked best for our past customers, we would love to share our advice with you! You can either call us at 715-354-7012 or email info@weatherqueenshades.com.